This is the first of a number of organs that will be featured as a result of the 2012 IAO Congress. 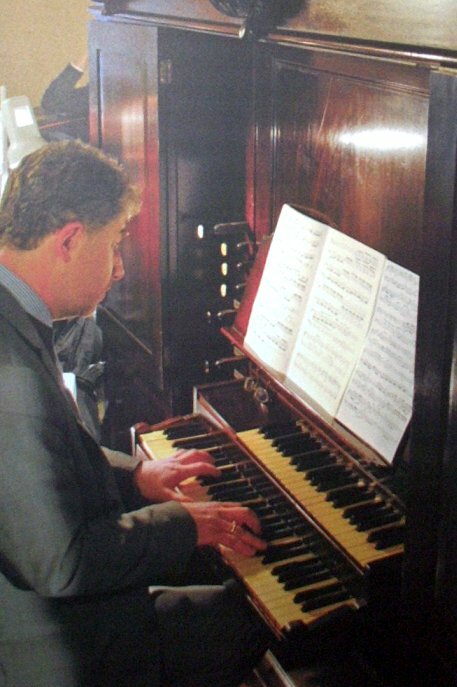 It is a rare surviving example of an 18th century organ in a largely unmolested Georgian church. The building has now passed into the care of the Churches Conservation Trust, but the organ was recently subject to a full historic restoriation with Heritage Lottery and other funding. In 1822 John Baldwin replaced several ranks of the original single-manual organ, most notably (and perhaps unfortunately) substituting a Dulciana for an original Trumpet. In 1844-5. John Nicholson of Worcester rebuilt and enlarged the instrument, adding a Swell division & pedal pipes that involved deepening the case by 28 inches, and removing the third rank from the Sesquialtera/Cornet. The back of the swell box remains the wall behind the organ! The Great keys were originally GG AA C D to f³ (55 notes) but were extended to long octaves with GG# AA# BB and C# in 1845, with these keys playing the pedal pipes only. The Swell organ starts at tenor C, cº to f³ (42 notes). The organ then remained largely untouched for over 150 years, except for the introduction of electric blowing in 1955. 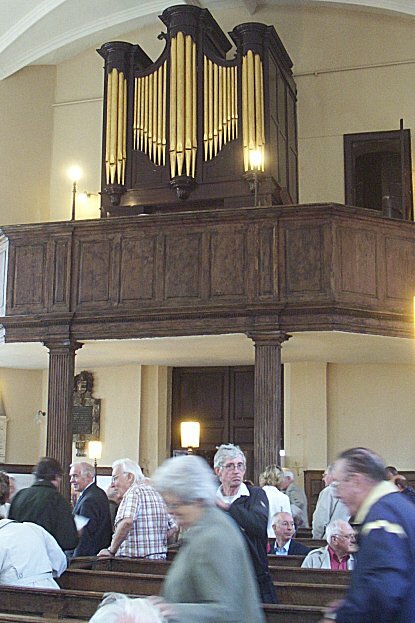 The recent restoration was by Goetze & Gwynn of Worksop, a firm specialising in pre-Victorian British organs, during which the third rank was returned to the Sesquialtera/Cornet. 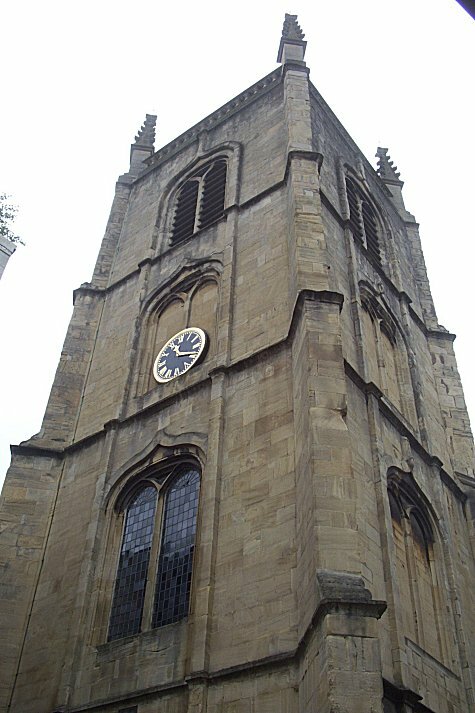 The tuning is a modified meantone tuning with good but not pure thirds, with characteristics shared from the tunings used by JC Bishop for St James Bermondsey in 1829. The advisor for the restoration project was John Norman.